An underground metahuman city, holding tech straight out of science fiction movies and accessible to any metahuman that is deemed trustworthy. The near impregnable fortress is Rise's seat of power in Europe, and a last ditch stronghold if the country is ever overrun. The capitol of Belarus, and where most of the politics go down. It is by far the most overhauled city in the country as far as technology goes. 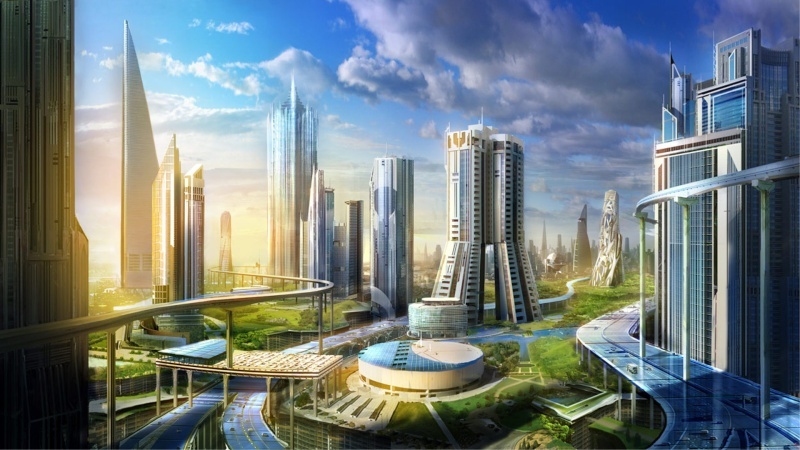 It is a gleaming example of the new world Rise stands for, with towering sleek white skyscrapers and an unmatched economy, as well as readily available advanced technology used for everyday tasks such as transport. Compared even to the other sci-fi like towns in the country, the Capitol is beyond fathom.